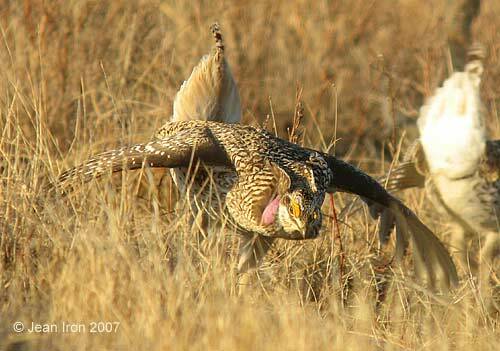 On 14 and 15 April 2007, OFO visited the Sharp-tailed Grouse lek at Gore Bay Airport on Manitoulin Island. 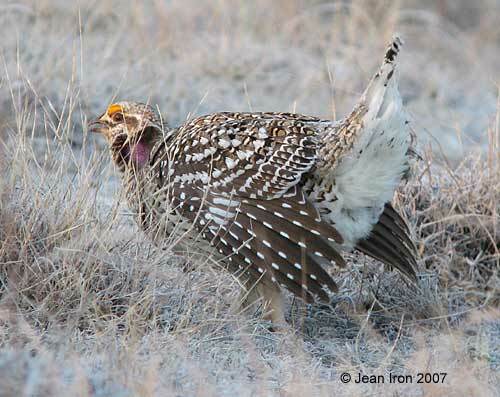 From dawn to about 8:30 a.m. we saw male Sharp-tailed Grouse dance and display to attract a female. They cooed and cackled, rattled central tail feathers, inflated purple air sacs on the neck and raised golden yellow combs above their eyes. Occasionally a female strolled through the displaying males. Scroll down for five photos. 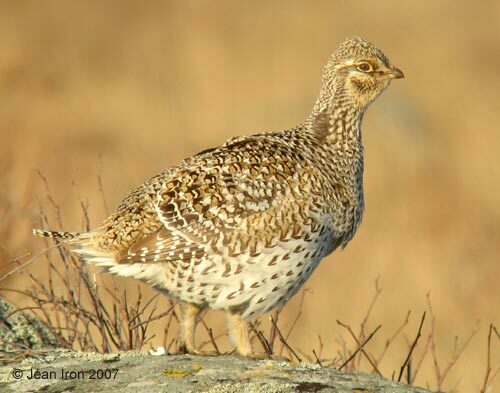 The lek is on alvar with grasses, small shrubs.and scattered rocks. 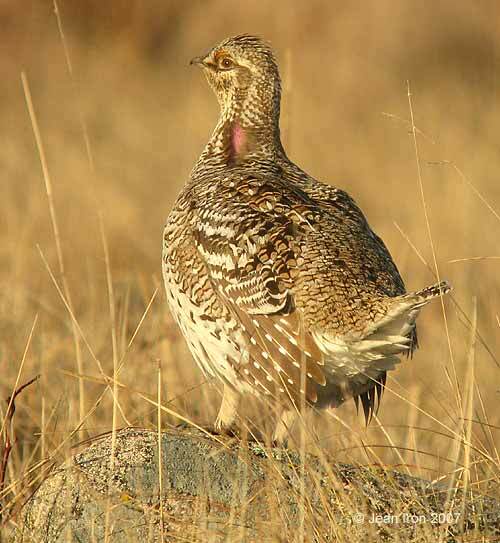 A Sharp-tailed Grouse watches for predators from atop a rock. 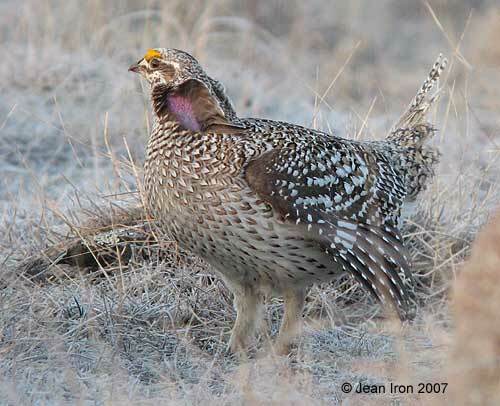 For their warm Manitoulin hospitality and for showing us the Sharp-tailed Grouse, we thank Steve and Reta Hall, Sylvia Kemp-Fletcher, and Rodney Campbell. Each year, Steve and Reta make a new blind. We also thank Robbie Collwell of Gore Bay Airport for access to the lek.